A generation ago, buyers didn’t have the luxury of the Internet to research and investigate real estate. Today, of course, many enter the real estate market with statistics and information gathered online. Despite all this data, many people, especially first-timers, have only a cursory understanding of how to be a successful buyer, how to negotiate, and how to approach the home-buying process. And they often develop pre-conceived notions about buying real estate, either from what they’ve read online or seen on TV, what their friends and family have told them, or all of the above. It’s important that I as a realtor/broker, watch for and potentially debunk a buyer’s myths about the home buying process. If myths go unchecked, buyers may hold back from negotiations or even the home purchase because of things they think are true—but aren’t. A good agent will debunk those myths while educating their clients at the same time. Be mindful of how you disseminate information and aware that sometimes, it can be better for a buyer to learn the truth behind the myth on their own—to experience a “lesson learned” in essence—than to simply hear what’s reality from their agent. Here are seven myths many home buyers bring with them to the process. Many people today figure that with real estate listings published online, the buyer’s agent’s role is irrelevant. By searching and researching independently, buyers going directly to the listing agent assume they can negotiate a better deal by cutting out the middleman—the buyer’s agent. The role of the buyer’s agent was never solely about accessing listings, of course. A good buyer’s agent has always had their feet on the street and keeps a finger on the market’s pulse. They know the comps and the other agents, so they can add an incredible amount of value simply through sharing their experience and knowledge. Buyers, left to their own devices, “don’t know what they don’t know.” A good buyer’s agent can step in, track the buyer’s process and help uncover some of the unknowns about a particularly house, an agent or the market in general. A good agent has years of market and transaction experience in their head. Additionally, the seller is going to pay the commission whether or not there’s a buyer’s agent. For the buyer, then, there’s rarely any savings by going without an agent. Instead, the listing agent simply makes double the commission. There’s no savings to the seller, either, when the buyer doesn’t have an agent. Also, by having a listing agreement with the seller, the listing agent is looking out first and foremost for the seller’s interests, not the buyer’s. By working with an agent (at no cost), the buyer gets an advisor/advocate working to represent their best interests. It’s impossible to have an across-the-board strategy for pricing and negotiating real estate. For starters, every real estate market is different, as is every seller’s approach to pricing. In many parts of the country, for instance, it’s a red-hot sellers’ market. Many times, sellers will purposely price their property right at or just below market value to get multiple buyers interested. When buyers try to offer, say, 5 percent under market value when everyone else is offering full price or more, they might be looking for a home for months. Also, if a listing is brand new, the seller may expect not a penny under asking. The first two weeks to a month are when the seller sees the strongest activity. When a buyer offers too far under asking out of the gates, they’re likely to lose out. In slower markets, it’s not uncommon for a seller to price a home well over the market value and wait it out. If a buyer offers 5 percent off a home that is overpriced by 10 percent, the buyer risks overpaying. This is why it’s important that buyers work with an experienced local agent and never take a one-size-fits-all approach to pricing and negotiating. Many years ago, real estate markets revolved around school cycles and summer. People wanted to move during summer so their kids could be settled in and start school by September. For this reason, spring has always been seen as the main selling season. Summer was usually slow, so the fall brought a second opportunity for buying and selling. Some buyers (and sellers) still organize their activities around this myth. They pull away in the summer as well as during winter. With so much information online today, however, markets move much faster and a buyer can look at real estate 24/7 from a mobile device on their couch. As a result, serious buyers are in the market all the time. (The not-so-serious buyers come and go when it’s convenient.) Homes listed in November or January could be listings of highly motivated sellers. Some buyers have their hands in a real estate transaction all the way up to Christmas, and a seller who has a home listed then must be pretty serious about selling. The bottom line: Shopping in the dead of winter or the middle of summer can present great opportunities for today’s buyers. With less competition in a market dominated by serious sellers, an aggressive buyer can snag a great deal in summer or winter. It’s common to think that the seller has left room on the table for future price negotiations after the property has been inspected. 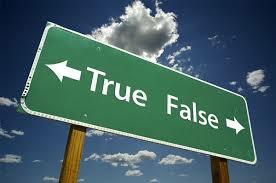 Therefore, as the myth would have it, a buyer should also leave room to negotiate after the property is inspected. Every buyer goes through this thought process when negotiating the home purchase. But when they follow this approach, they’re bound to get burned. Many of today’s sellers go through the motions of getting their home in top shape before going on the market. This includes fixing the leaky water heater, replacing or repairing the roof or completing a list of “fix-it” items prior to listing. Sellers want a sure thing with their buyer. A good agent will work with them to make sure the home is foolproof prior to listing. If the buyer leaves $15K on the table with hopes to negotiate afterwards and the inspection comes out flawless, they will be in trouble. A seller with a solid home and a clean inspection isn’t likely to negotiate with that buyer again. In a strong market, a buyer who tries to renegotiate won’t be taken seriously. Agents should advise their buyer clients to be happy with the final price offered to the seller. It may happen that there are issues after the inspection and some credits come the buyer’s way. But counting on those credits will only waste everyone’s time when the inspection comes back clean. Traditionally, a buyer got a 30-year-fixed loan and put 20 percent down. But times have changed. With higher home values have come creative loan products. These aren’t necessarily the types of loan products that got people into trouble 10 years ago, however. Today, there are government-backed loans such as those from the Federal Housing Administration (FHA) that allow for as little as 3 percent down. These loans are a little more difficult to obtain and require a few extra layers of approval. But they’re available to borrowers with strong credit and income. With interest rates still at 20-year-lows, a smart buyer today will leverage the bank’s money to work for them. Of course, buyers should never sign up for a loan they can’t afford. And they should always double- and triple-check their rate and payment schedule. It’s important not to get caught up in a small down payment scenario where the interest payment is low at first but then increases, unless the buyer can plan for it. If a buyer is serious about living in a location for at least seven years and wants to put down roots, then explore the available loan options. A five-minute call with a mortgage broker or banker can be quite revealing. With all the recent talk of cash buyers and big investors swooping in and buying real estate, a lot of first-time buyers assume that if they have to get a loan, they can’t compete. Many times this thinking keeps a would-be buyer on the sidelines. But it’s important to educate buyers that cash is not always king. For starters, cash buyers expect some a discount because, by paying cash, they’re eliminating some of the risk of loan approval for the seller. A smart buyer can counter a cash buyer simply by making their offer as airtight as possible, such as being fully approved before making an offer. This means having the mortgage professional fully vet the buyer’s finances so there won’t be any surprises. Buyers can take it a step further. Before making an offer, they should have the mortgage pro get as much information about the property. If the lender feels strongly about the buyer’s finances and the property doesn’t seem to have any obvious red flags, the buyer’s offer should include a short window to get the loan approved. Many sellers assume they have to wait 30 to 45 days for a buyer to get their financing in place. But if the buyer has their financial ducks in a row, they should shoot for two weeks to get financing. Also, because cash buyers expect a discount, buyers can counter their offer by paying more. Though this may sound crazy, paying more doesn’t necessarily mean “overpaying.” It may simply mean paying market value, which a cash buyer won’t pay. Finally, many home sellers, particularly long-term homeowners, like to know that someone will be living in the home and that there’s a real “person” behind the offer. When a seller is faced with two similar offers— one from a cash investor and the other from a person who really wants to live in the house and makes that known—a buyer with a clean, solid offer may beat out the all-cash investor. For a few years during the last decade, homes in all parts of the country were appreciating upwards of 15 percent year-over-year. We all know that the housing market came to a halt when the credit crisis happened a few years later. Even though the real estate market is back in many parts of the country, things are different today. A generation ago, a buyer would purchase a home and plan to live there for 30 years and pay off their mortgage. Over time, this home did appreciate and it was a great investment for that buyer. Today’s buyers are different and the world is different. With access to information, technology and the global economy, people are not staying put for as long as they used to. Also, people aren’t marrying and settling down as early and therefore may own one or two homes before settling down. Real estate was still always meant to be a long-term investment. A generation ago, a homeowner couldn’t follow their Zestimate® home value or check their neighbor’s listings online. There was simply less knowledge and less tracking of your home’s value. If a homeowner looks at their home’s value weekly or monthly, much like stock investments, they will be in for a big surprise. Their home may appreciate a small amount. The value may stay flat for a few years. Or it may even go down. Buyers should not buy a home only because they think it’s a good investment. It’s a home first and an investment second. If the buyer can’t commit to a minimum of five years (seven to 10 is even better), then they may be better off renting until they’re ready to commit.